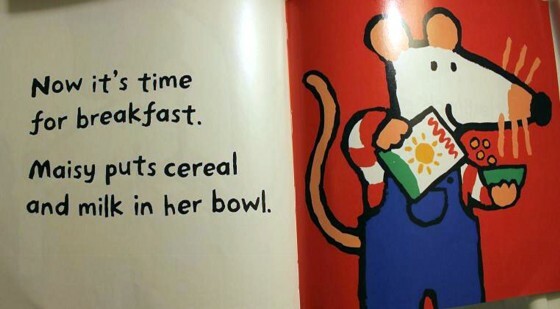 PreSchool-In Doctor Maisy, the little mouse and Nurse Tallulah take care of a sick Panda, "Oh, no. Panda has a fever." When Maisy and Tallulah bump into one another, the nurse has to bandage the doctor's sore nose. 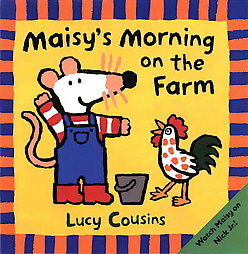 In Morning on the Farm, Maisy milks the cow, "Squish squish, squirt squirt"; feeds the pigs and chickens; and then has her own breakfast. 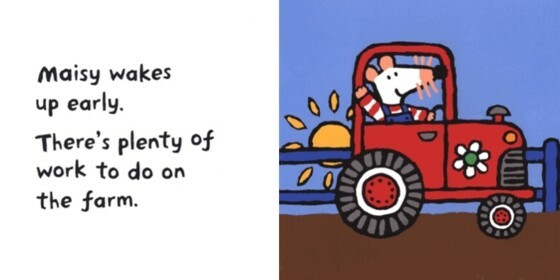 Toddlers will be attracted by Cousins's bright, friendly illustrations and simple texts. 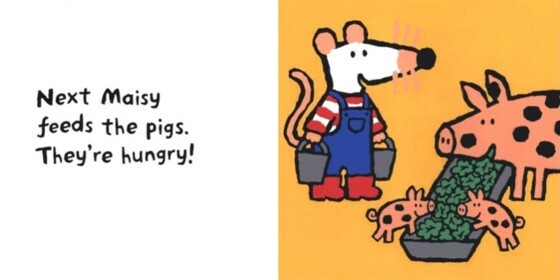 These two titles are sure to be popular with Maisy fans everywhere. 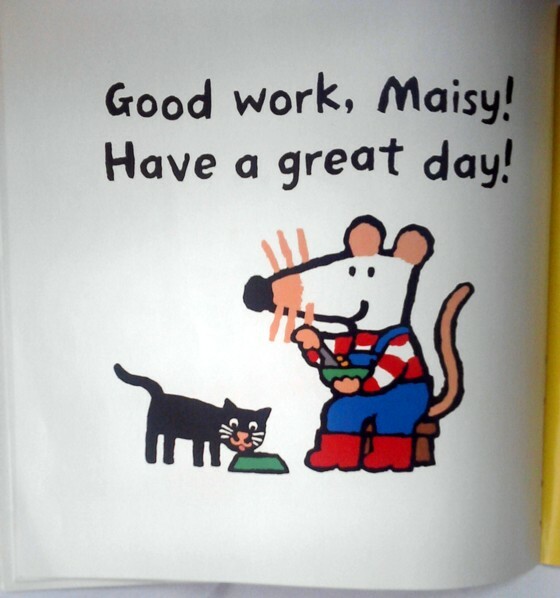 We have many Maisy books at our house, but this one is especially cute! Maisy works on the farm milking cows, feeding chickens, etc. The pictures are adorable and my 10 month old likes us to make the farm animal sounds as we read it to him. I highly recommend it!